CSUSB Student Recreation and Fitness Center, referred to as the Rec Center, has a position available for rock climbing enthusiasts seeking work on campus. The Rec Center and rock all staff are looking for another member to be a part of their team as the new rock wall instructor. 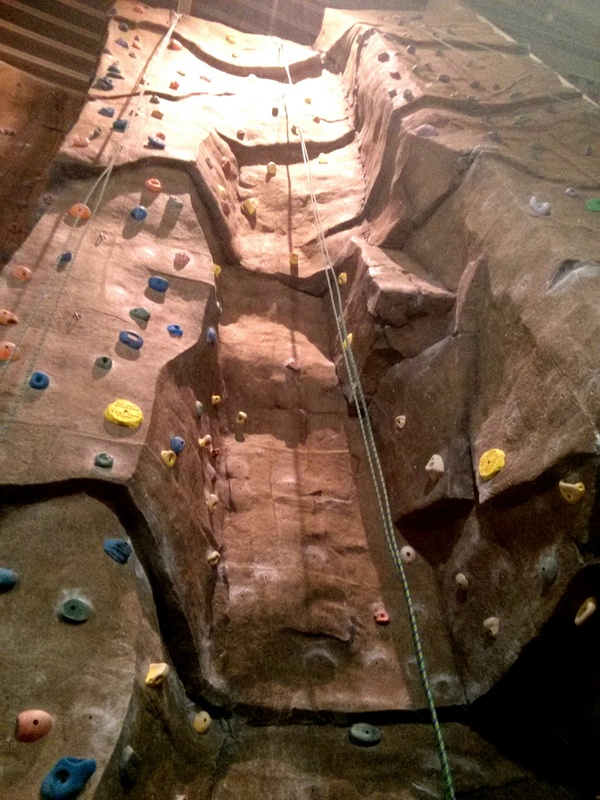 The rock wall is 1,000 square feet, 34 feet high and is open for all students and members of the Rec Center. The Rec Center provides shoes, harnesses, and chalk bags for anyone that is willing to climb after the informative session that provides detailed rules and safety tips for all participants. Although climbing the wall serves as a recreational activity for some climbers, others may seek to extend their knowledge of climbing by obtaining a job. Applicants must be a student enrolled in a minimum of six units at CSUSB and maintain both a quarterly and cumulative grade point average of 2.0. Cardiopulmonary resuscitation (CPR) and first aid certification is preferred before employment and required within four weeks of being hired. Preferred to be belay certified with the CSUSB Climbing Wall or another climbing gym. Preferred experience in top rope climbing, bouldering, sport climbing, or trad climbing. “If you love rock climbing and wish to share your experience with others then apply to become an instructor at the CSUSB Climbing Wall!” stated Dominic Trujillo, CSUSB rock wall supervisor. The applications are on the Rec Center’s website under the employment tab, where this position and some others will be listed. All applications are due by March 18, and if selected, applicants will receive a call for an interview. So for all who are interested, take a few minutes and send in an application; you might the next rock wall climbing instructor.